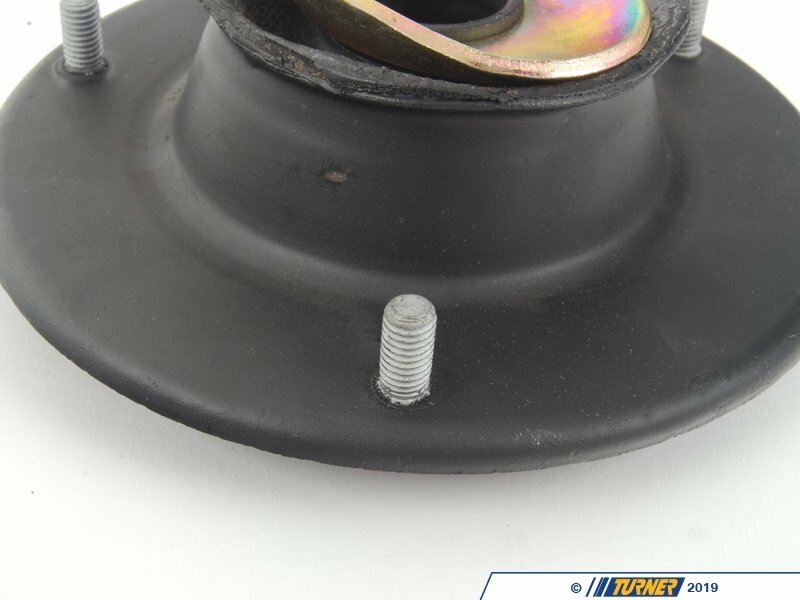 The strut mount (or guide support) locate the front strut to the chassis of the car. They are a very durable rubber meant to absorb vibration and imapcts from bumps, potholes, etc. 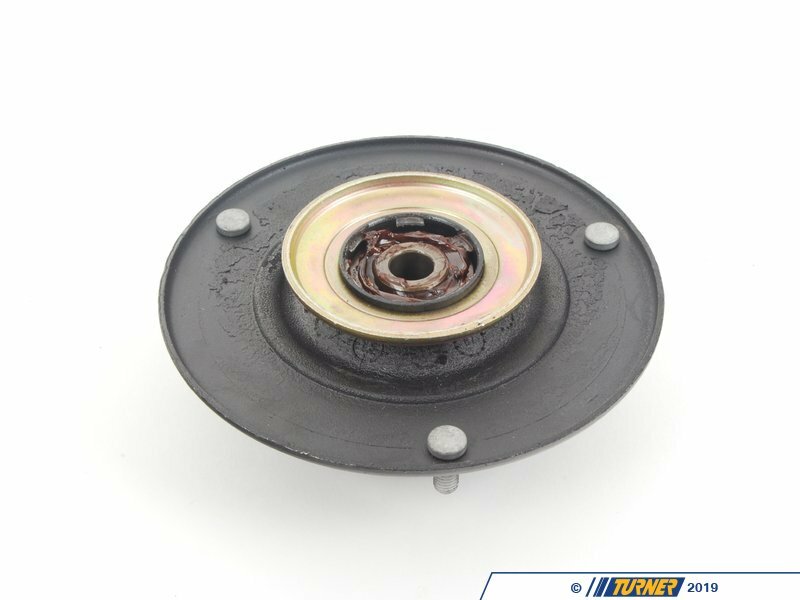 There is also a bearing inside that allows the strut shaft to turn independent of the rest of the suspension. 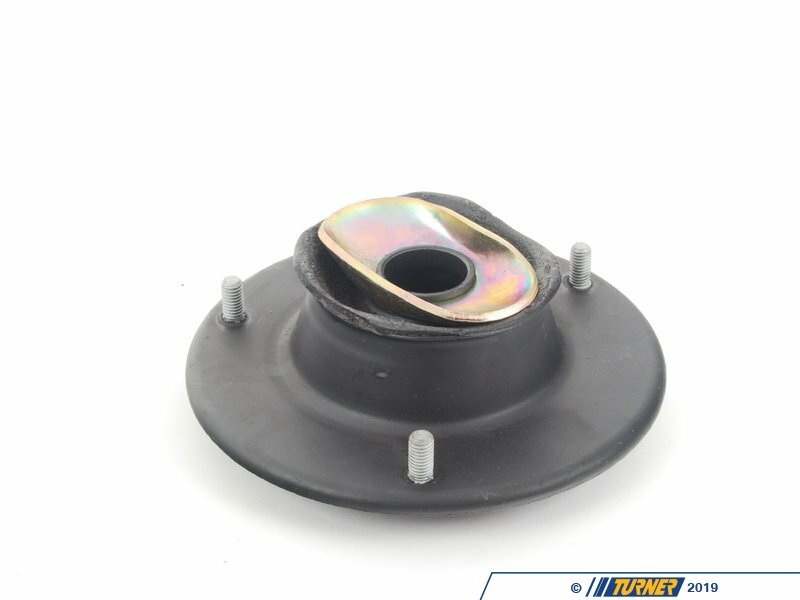 Therefore, the front strut mount is a very critical piece on the E30 suspension. These mounts generally last 100,000 miles or more but it would be a good idea to change them with every strut replacement. 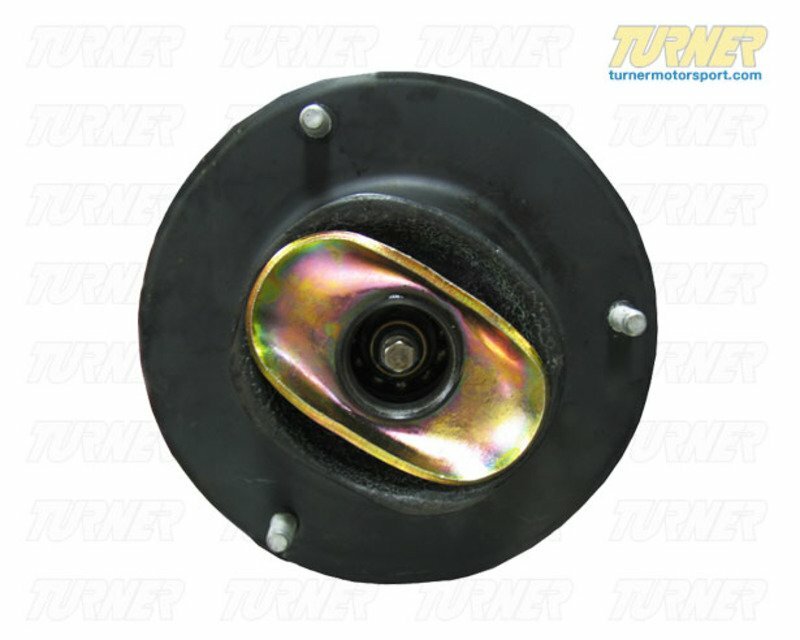 This mount is specific to the 325iX 4WD.